The Windows 10 search allows you to easily search files in your computer. However, sometimes the Windows search does not function as intended. 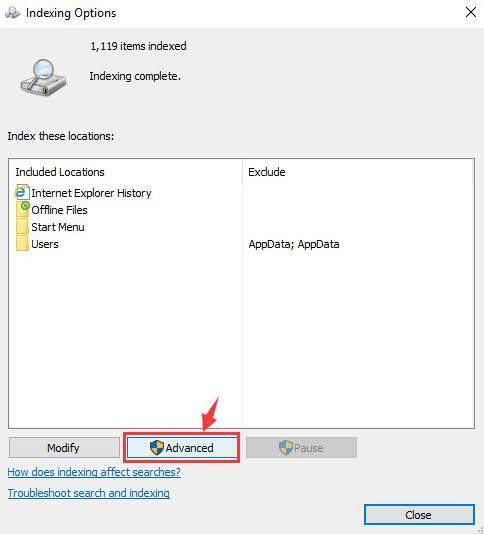 If your Windows search is not working and you are looking for a solution, this post is for you. There can be many reasons as to why the Windows search is not working. Here are 5 solutions which target different underlying causes of Windows 10 search not working. 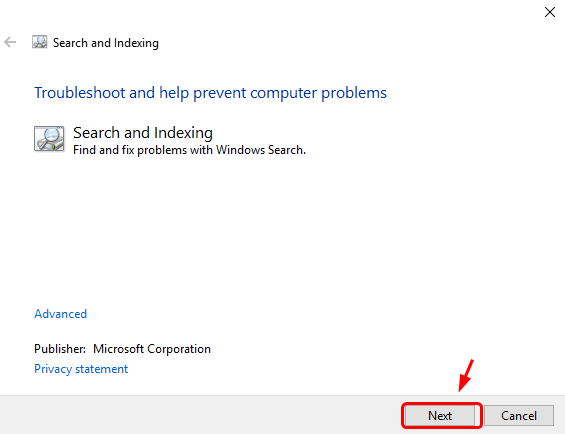 Since you do not know the exact cause for Windows 10 search not working, you can start with the first solution in this post. If it does not work for you move to next solution and so on, until you’re able to solve the problem. The “Windows Search not working” issue might be a temporary one. Restarting windows might fix it. 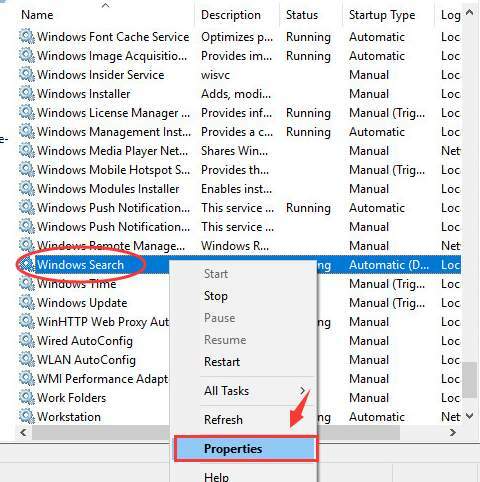 If you used the hibernate option, there is a possibility your PC did not shut down the last time. In such a case, when you start the PC, it only wakes from hibernation (not regular booting of Windows) and that might trigger this error. You need to shut down or restart the PC by pressing the restart button on your desktop. 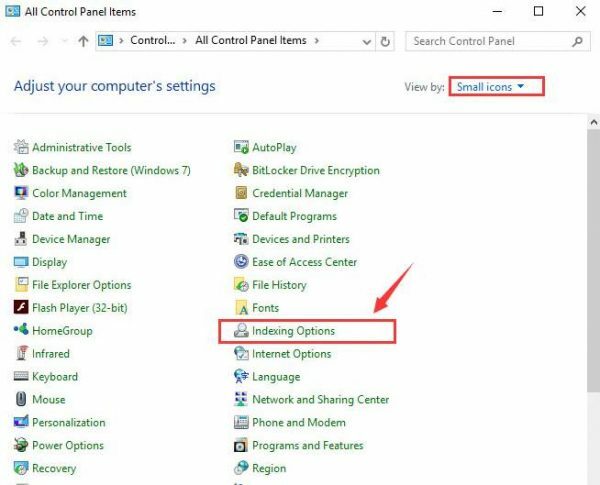 Laptop users can follow the steps below. After rebooting your PC, check whether Windows 10 search is working. If your issue remains unresolved, move to next solution. If you look at the Windows architecture, each functionality in Windows is controlled by one or more Windows process. In Windows 10, the Cortana process is related to Windows search. 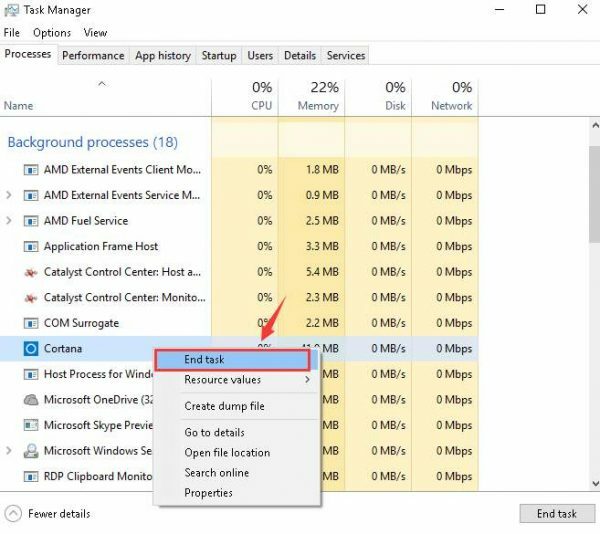 In some cases, even though the Cortana process is running in the background, the Windows search does not function normally. In such event, restarting the Cortana process can get Windows 10 search up and running. Here are steps to restart Cortana process. After you manually end the Cortana and Search process, Windows OS will start these processes almost instantly. Now check whether Windows 10 search is working. If this solution has not worked for you, move to the next solution. The Windows search service should be running for Windows 10 search to work. 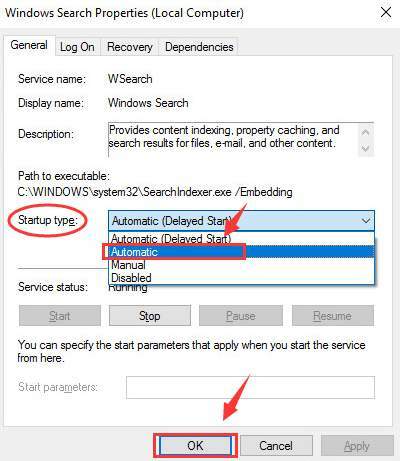 You need to check the status of the Windows search service and make necessary changes. After rebooting check Windows search service. If it is still not working, move to the next solution. Windows indexes your files so that Windows search functionality can search and present you the files you need. While you use your computer, the operating system continues to index files you create. There is a possibility the search index might have become corrupt, which might explain the error. 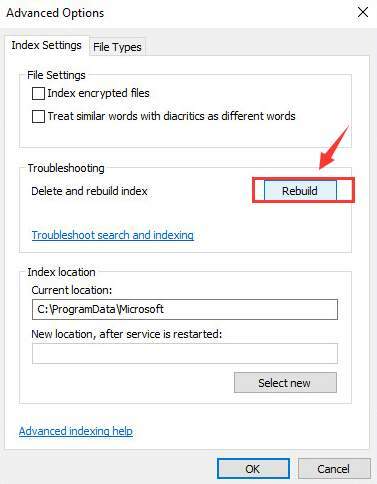 In such cases, rebuilding windows search index is an easy solution. Windows will now start building the Windows search index from scratch. It is difficult to tell the time required to complete the rebuilding of the Windows search index. This depends on how many files the system need to index. Check if the Windows search is working. If the issue persists, move to the last solution. 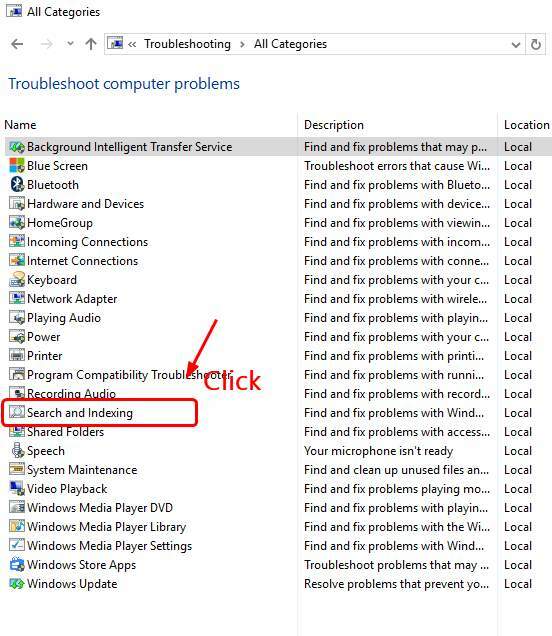 Windows has in-built Troubleshooter tool that can fix most Windows functionality related issues. 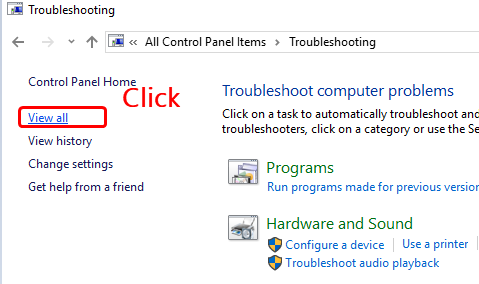 Here are the steps to run Windows Troubleshooter. Wait for the troubleshooting process to complete. 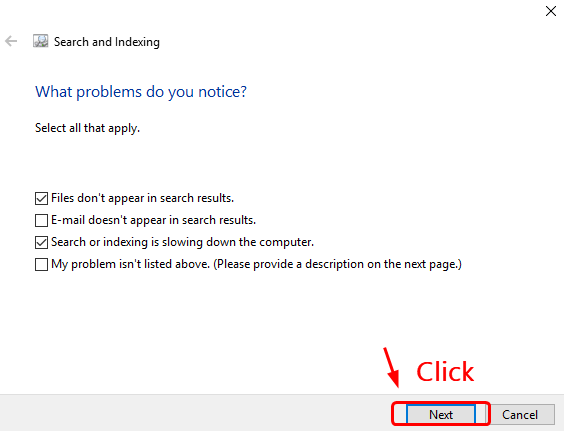 We are confident you would be able to resolve the Windows search not working issue by following one of the solutions given below. If none of the solutions has worked for you, we suggest you update Windows 10 drivers. The easiest way to update Widows drivers is by using a reliable driver update tool. We recommend you use DriverDownloader. It is not only very quick but also very reliable. Plus, it comes with a 30-day money-back guarantee. So if you don’t like the software (chances of which happening are almost zilch), you can get a total refund.